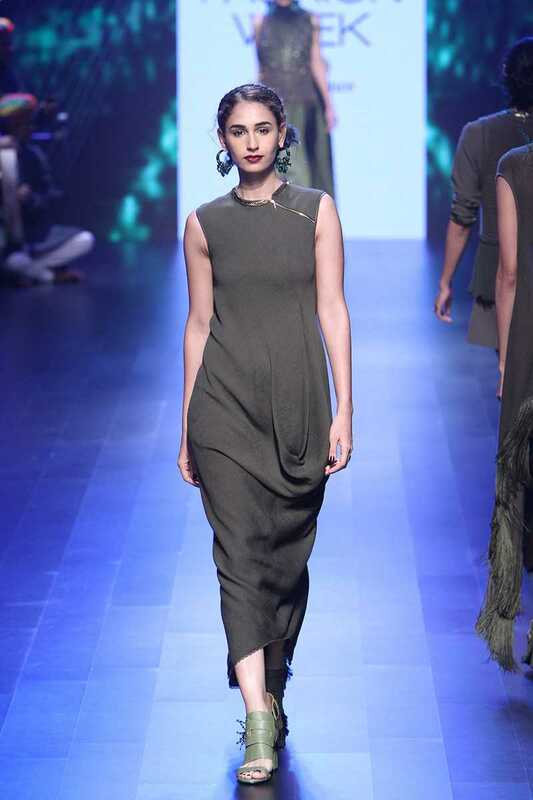 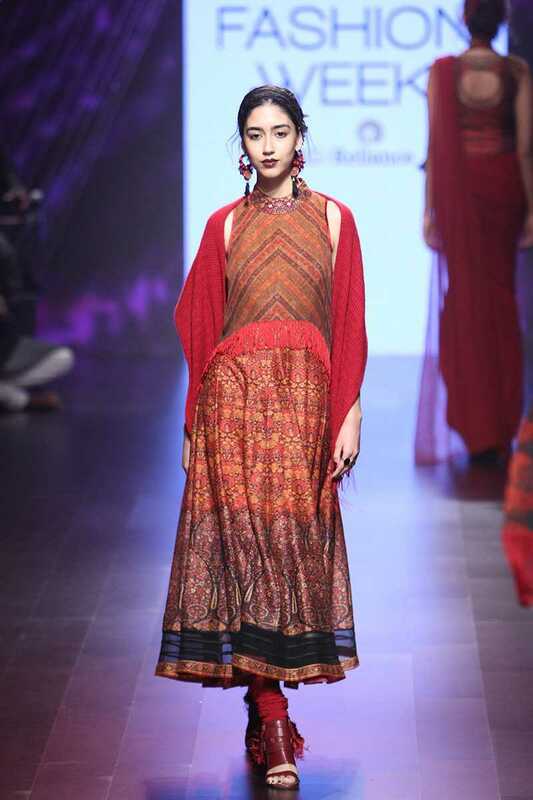 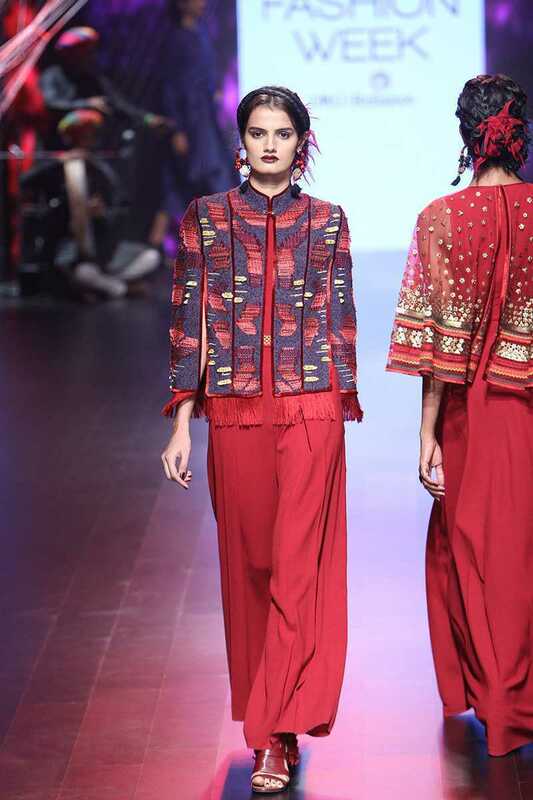 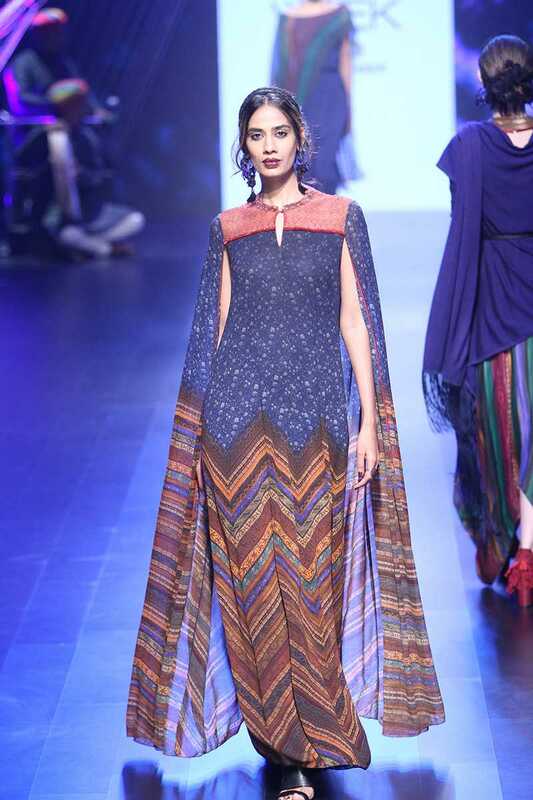 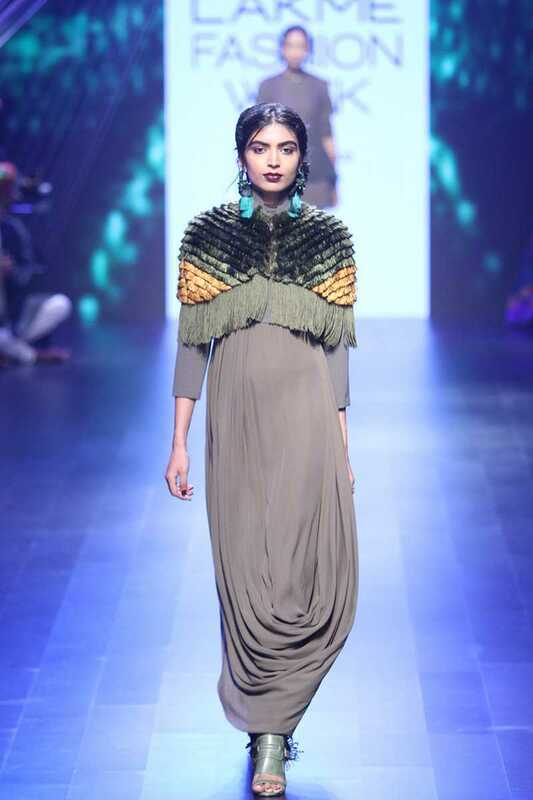 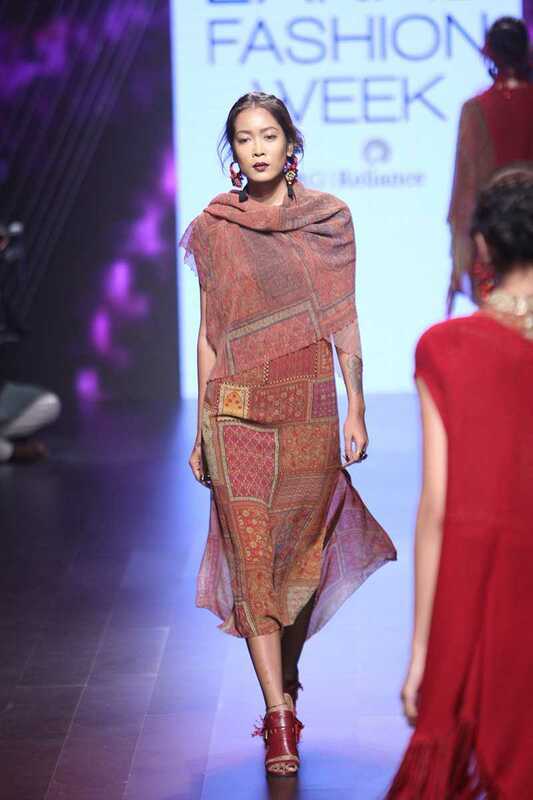 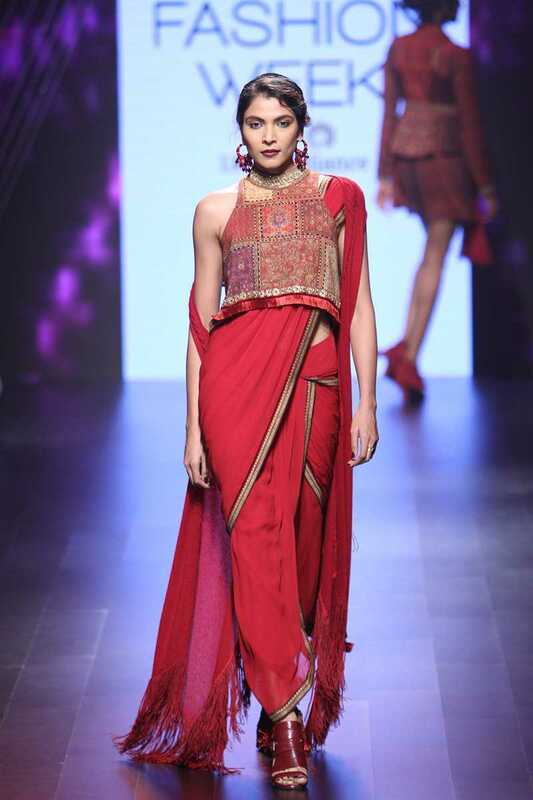 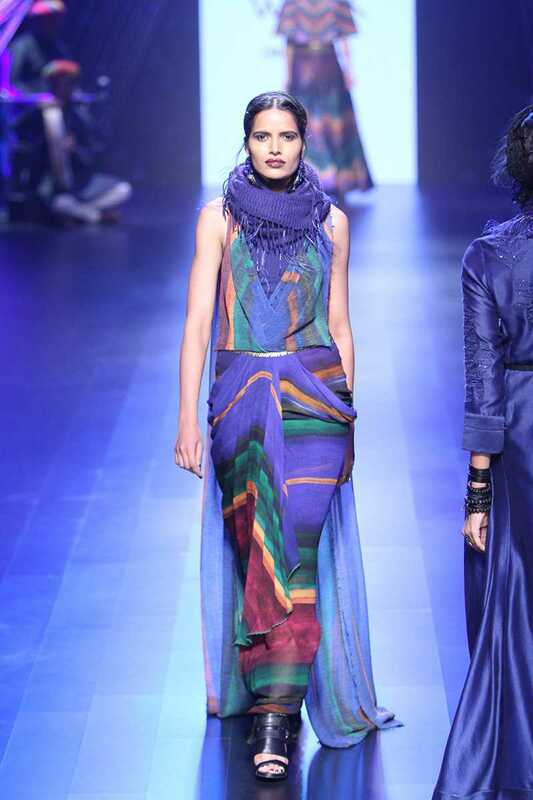 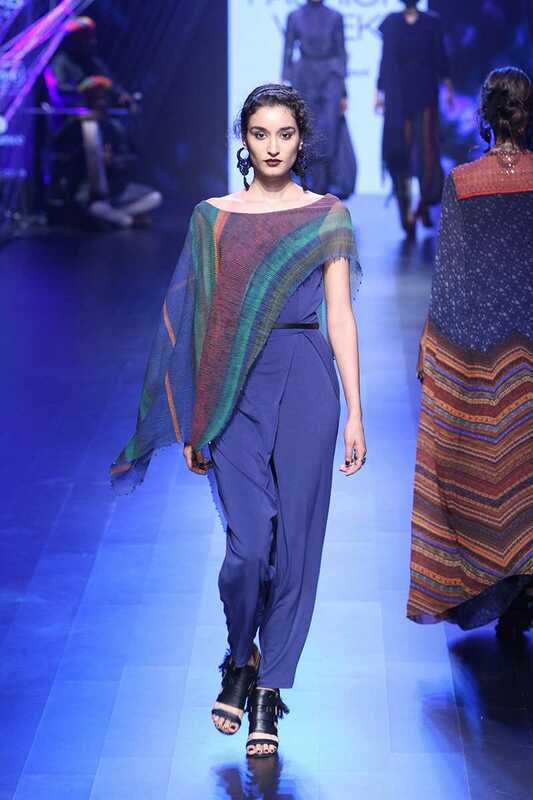 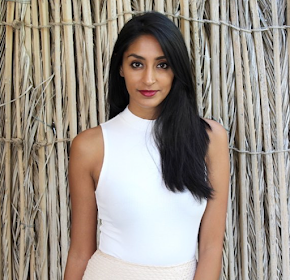 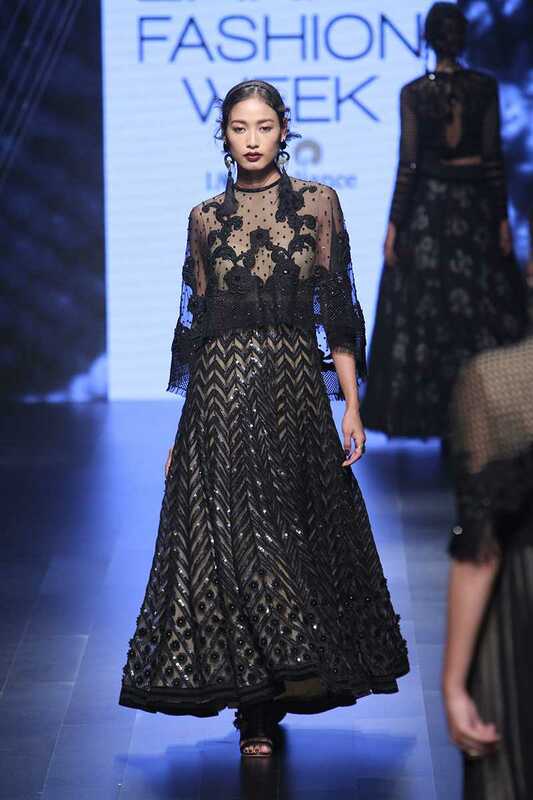 Tarun Tahilian's Winter/Festive 2016 collection at Lakme Fashion Week is perfect for the cooler seasons. 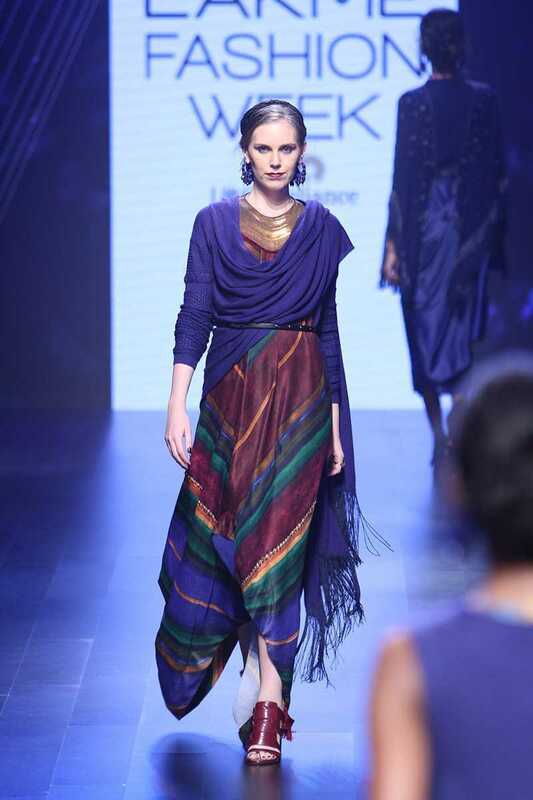 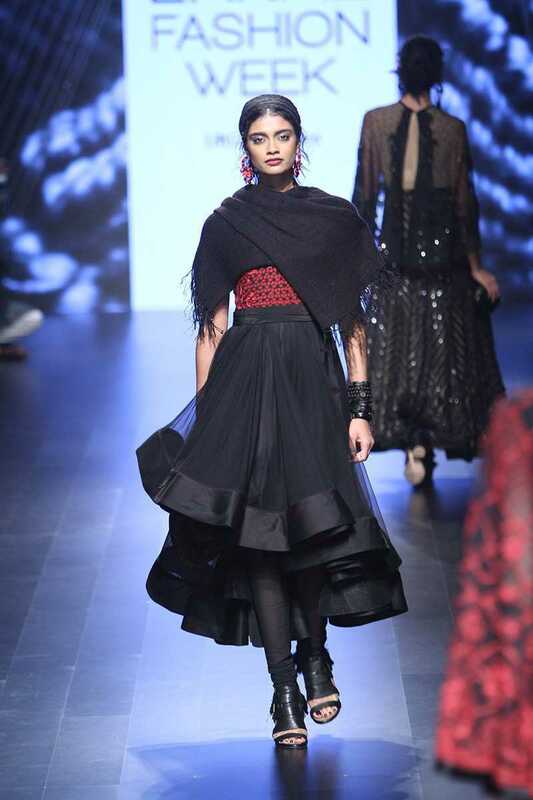 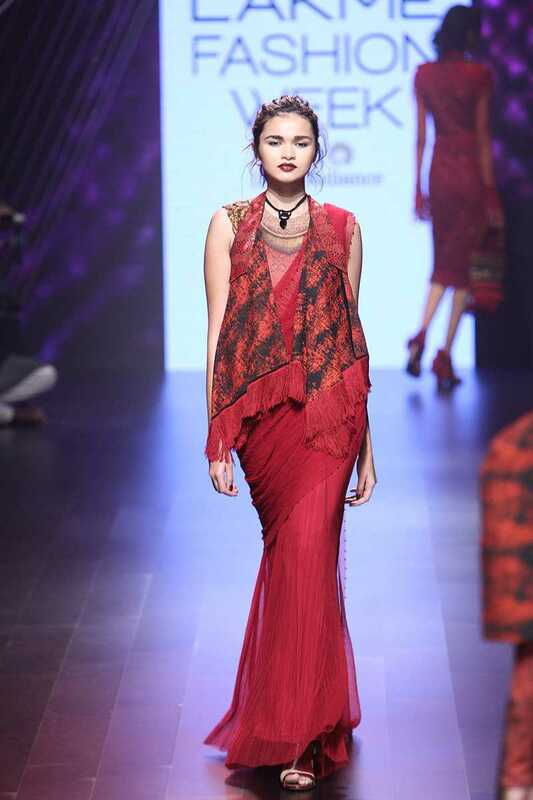 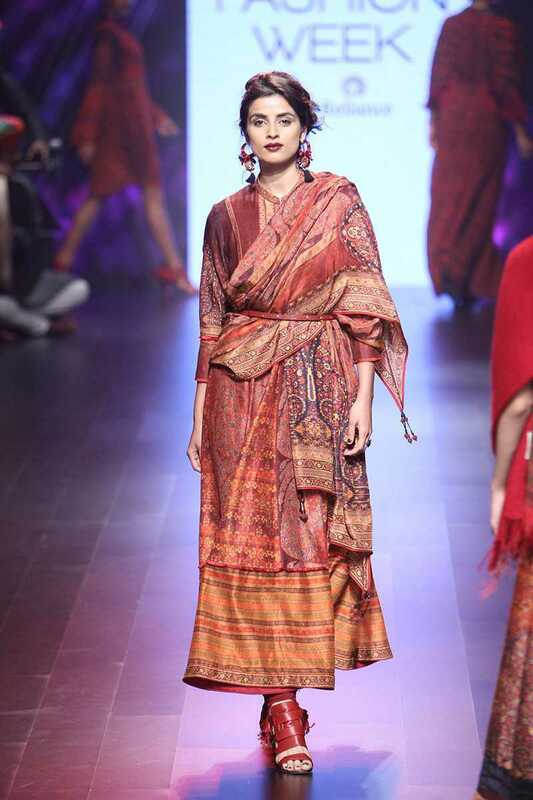 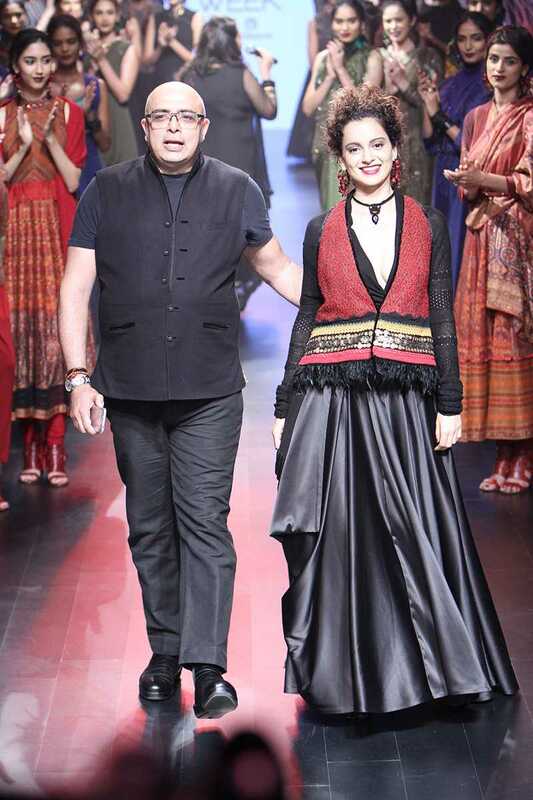 Created in darker tones or red, blue and black, this collection featured Western and Indian wear. 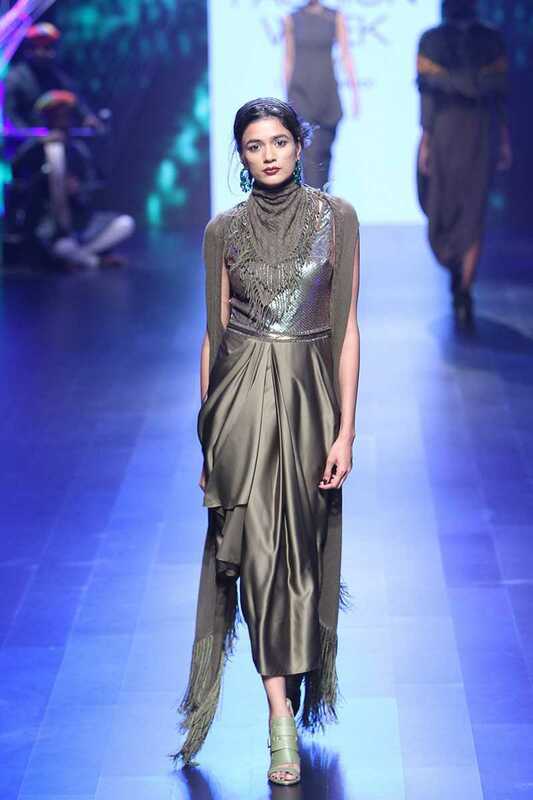 Very much a ready to wear collection, the outfits had gorgeous styling work through the use of layering of sarees, crop tops, and scarves. 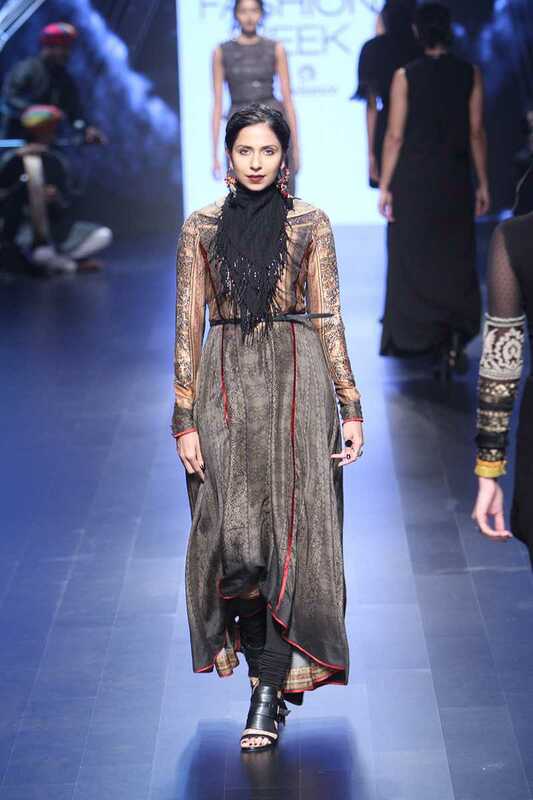 The knee-length silk dresses would look amazing with a long brown coat and some high brown leather boots in the autumn. 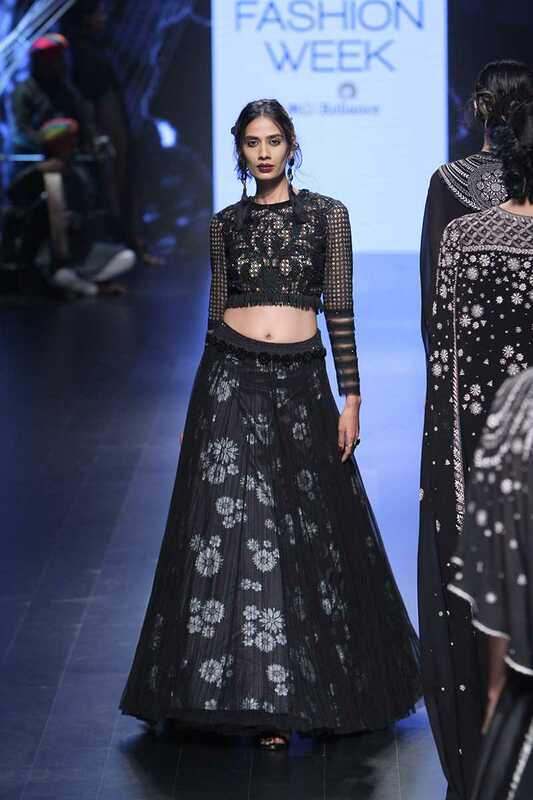 As always, Tahiliani has created a beautiful collection.